After the Ricardos acquire a new washing machine, they sell their old one to the Mertzes for thirty-five dollars, despite Ricky's apprehensions. The next day, the old machine breaks down, erupting like Vesuvius. Amid soap bubbles and spilled water, Lucy and Ricky offer their sympathy: "Gee, Fred, that's too bad." The Mertzes, however, feel differently, "Good thing we found out in time!" They take the stand that since no money changed hands yet, the deal is invalid. Possession, contends Ricky, is nine tenths of the law. Seeing red, the Mertzes call the machine a "lemon" and the Ricardos storm out. The following day, Lucy finds the old machine outside her back door. This leads to a tug-of-war with the broken down contraption, which Mrs. Trumbull manages to break up. She suggests that her nephew Joe, who works at an appliance store, have a look at it. He does and is willing to pay fifty dollars for it. Now the Mertzes want to claim possession again, as do the Ricardos. Another mad tug-of-war ensues, climaxing with the ancient washer cascading over the porch railing and smashing on the pavement below. This is all too much to take seriously, and the Ricardos and Mertzes laugh over it and make up. Special Notes: This episode contained one of those story errors that crept into the scripts frequently. In the segment "Sales Resistance", episode #52, Fred buys a new Handy Dandy Washing Machine for Ethel. That show ran about five months before this episode. 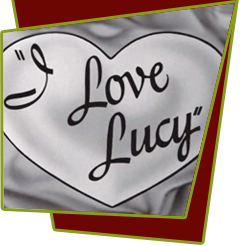 Bloopers: When Ethel closes her new (Lucy's old) washing machine, the string that stage hands use to lift the lid can be clearly seen. When Ethel is talking to the washing machine repairman (Mrs. Trumball's nephew) on the back porch of the apartment building, he tells Ethel that he doesn't know the Ricardos, but when he walks away he goes into the Ricardos back door, leading into their kitchen.